The colors and patterns continuously change, just like a "Kaleidoscope". 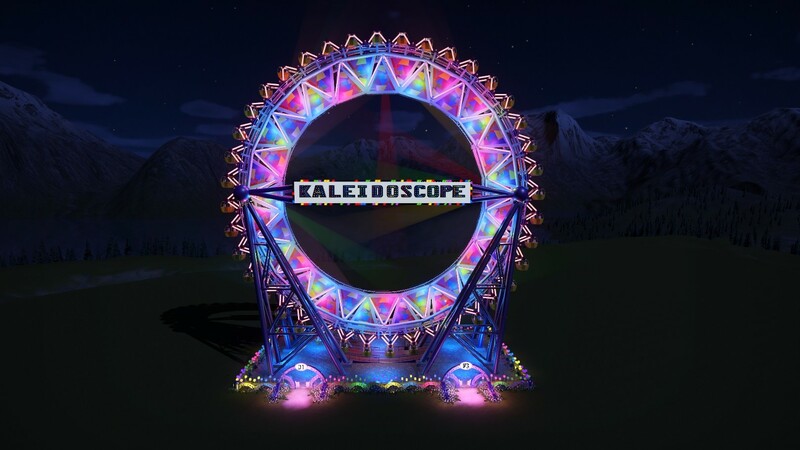 There is a brief video on the workshop so you can get an idea of the color changes and there are also more pictures. 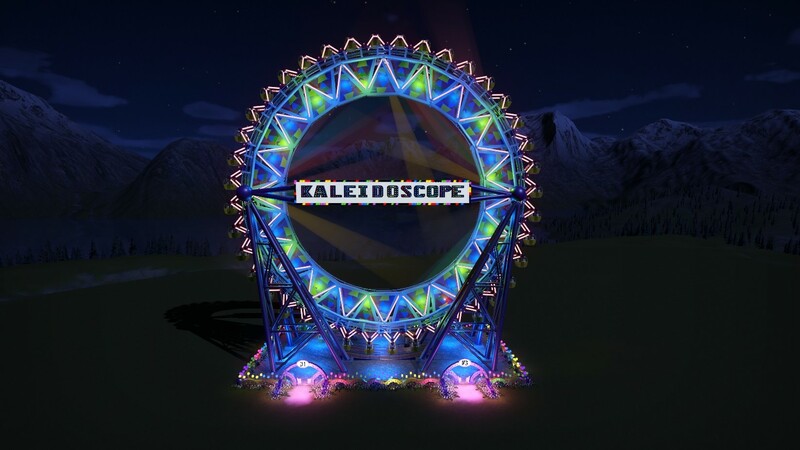 This ride skin is for the Radius ride. It also looks nice in the day time as well. Absolutely awesome! Seems you have again a new masterpiece done! The night pictures are absolutely amazing and the light effects shown in the clip looks like a real fairground video!!! 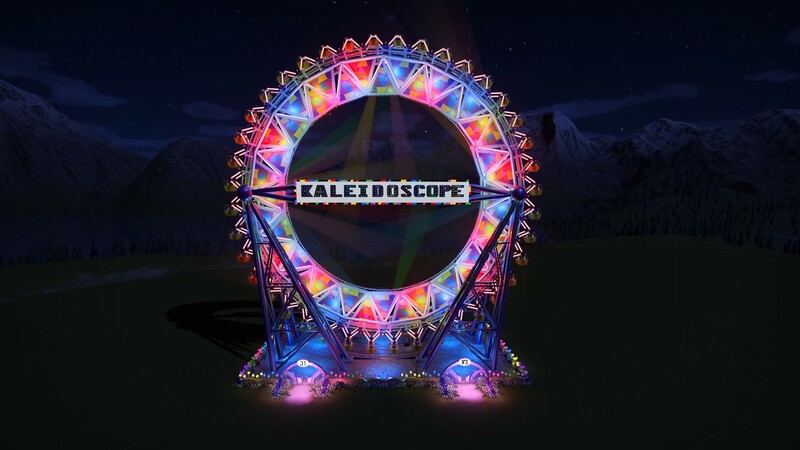 And I also love the Kaleidoscope Sign!! Thank you so much corkscrewloop. You are one of my biggest supporters and I thank you for that. 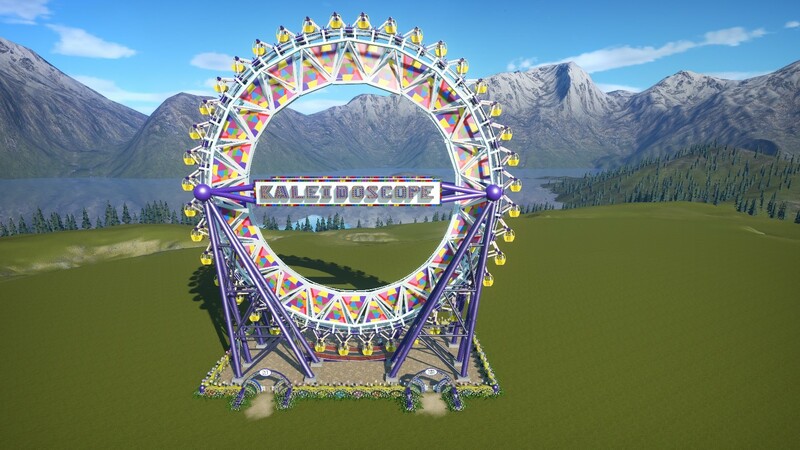 This, plus your Grand Carousel skin: You really have an eye for visual beauty, Tillietwos. Thank you JB. It's nice to hear your nice comment. That structure looks awesome. The lights are well situated and the colors are beautiful. All works perfectly together. Great idea! This is really a landmark! Brilliant execution. Must be hell of work to create that.Respect for your endurance and the implementet vision you must had in mind before building that thing.